Leah is a certified Corporate Wellness Coach, Stress Management Coach, Holistic Life Coach, Reiki Master and teaches life enriching techniques such as various meditation styles, Emotional Freedom Technique and other mindfulness approaches to improving your life. Leah has been sharing this knowledge with the medical community for over 10 years. Along with coaching, she is certified in Reiki, ThetaHealing, EFT (tapping) and Practical Yoga. She is the Chief Operating Officer for a home care agency specializing in dementia care, owner/founder of the Mind Health Coach Program and is an international radio show host that features "The Mind Health Coach" which is aired in 136 countries. Leah has facilitated meditation classes at the University of Massachusetts Second Half Learning Center and conducted many CEU programs for the medical community. She conducts corporate trainings, speaking engagements, workshops and individual sessions online, in person, and for events/retreat at many venues including cruise ships! Leah is also consider an expert in the area of caregiver stress and helping those challenged with dementia and other life threatening illnesses. She helps those affected to cope and employ strategies that assist them in gaining a sense of peace with what they are experiencing in the present moment. This moment is all we have...the past is over and the future is not here yet, so being mindful of every moment and how you are perceiving what is happening in your environment and to your being is so critical to how you are experiencing life and preserving it. How you perceive your precious moments is what motivates you to choose what your next step will be towards your future. Through her own personal experiences and a near death accident, Leah has overcome many of the difficulties associated with living with PTSD and also has used her life challenges as a way to motivate others and inspire hope in others. She became a master at the art of healing stress and anxiety using natural and holistic stress management strategies. Leah also found she was more in touch with her spiritual path after having a near death and out of body experience in 2001 when she was injured in a equestrian accident where her body went into cardiac arrest and she was resuscitated by her father. She describes her journey to the other side as the most loving, peaceful and eye-opening experience of her life. Since then, Leah has been sharing her experience to enlighten others. During her time spent out of her body, she felt a higher level of consciousness that her soul experienced first hand. She feels that it is part of her soul’s purpose to tell the story of this amazing trip and share the knowledge of another state of afterlife consciousness with others. Leah also has a personal connection, as well as much professional experience, to Alzheimer's Disease, since her grandfather was severely affected by the disease back in the 1980's. It was a traumatizing experience for the entire family unit and watching him decline was not easy. This is what has motivated Leah to ensure that both professional and family caregivers are educated on how best to provide self-care, as well as successful-low stress caring strategies for their loved ones affected by the disease. 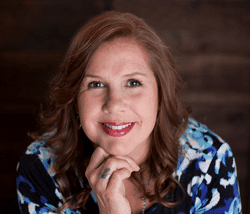 Leah offers trainings/motivational speaking for corporations, interest groups, CEU trainings, online webinars/courses, in person workshops and retreats, individual sessions via Skype, phone and in-person, workshops.